Coiffure Exclusive Salon is committed to creating a relaxing, diverse, nurturing and professional environment where clients can be pampered by our talented team. VIP and Full-Service guests will soon have access to our kitchen and VIP lounge which has been specially designed for our discriminating clientele. Although we are an appointment only salon, basic styling services for walk-ins can be performed as time permits. We provide a comfortable and private environment for our clients who suffer from hair loss due to trauma, heredity, and various other hair and scalp conditions which have adversely affected healthy hair growth. As an appointment only one-on-one full-service salon, we offer individualized attention to our clientele. 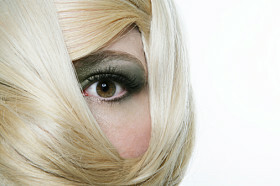 We have licensed stylists with a vast knowledge of all hair types. We also have a certified extentionist, and hair replacement specialist with years of experience in the industry. We are committed to aiding clients with hair loss issues as well as clients looking for quality hair care, or those seeking a brand new look. Our general hours of operation are 9:00 a.m. - 5:00 p.m. 7 days a week; however, the hours can vary according to the needs of our clientele. Please call for an updated schedule. Facebook, Myspace and Twitter. Periodically, we offer specials and give-aways that are only on these sites.